Carmela Valdemoro López, Full Professor at the Institute of Fundamental Physics (IFF, CSIC) from 1988 to 2002 (Doctor ad Honorem from 2002 to 2013), and a pioneer of reduced density matrices-based methodologies for electronic structure, passed away on Thursday October 26, 2017, in company of her family. Carmela Valdemoro was an enthusiastic, creative, generous, and encouraging researcher right to the end, having inspired generations of scientists. Carmela Valdemoro López was born in Spain and obtained a B.Sc. degree in Chemistry from the Universidad Complutense de Madrid (UCM, Spain) in 1956. She was awarded a graduate student fellowship, which she took up at Consejo Superior de Investigaciones Científicas (CSIC) from 1956 to 1959. She then moved to the Institut de Biologie Physico-Chimique (Paris), where she joined the group of Professor Bernard Pullman, who was her Ph.D. supervisor, and performed research on quantum biochemistry. 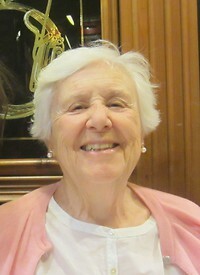 Carmela Valdemoro received her PhD Degree in Chemistry in 1962 at the Universidad Complutense de Madrid. Later on, she spent two years at the Institute of Theoretical Physics in Naples. During 1964-1965, she was hired as a researcher by the Consejo Superior de Investigaciones Científicas in Valladolid (Spain). In 1966, she was awarded a position as research associate in the Department of Chemistry at the University of Alberta (Canada). In 1967, she joined the University of Sheffield (UK) as an assistant lecturer, and became a full lecturer a year after (1968-1971). In 1971, Carmela Valdemoro returned to Spain as an assistant professor of the Department of Chemistry at the Universidad Autonoma de Madrid (UAM). She then joined the Consejo Superior Superior de Investigaciones Científicas (Instituto de Matemáticas y Física Fundamental) as Tenured Researcher in 1973, having been promoted to full professor in 1988, and awarding the degree of Ad Honorem Doctor at CSIC from 2002 to 2013. Over the course of her career, Carmela Valdemoro published about 100 scientific papers, with pioneering contributions in the field of reduced density matrices-based methods for electronic structure. Thus, in 1986, Professor Carmela Valdemoro applied a matrix-contracting mapping (see, e.g., Ref. 1) to the matrix representation of the Schrödinger equation in the N-electron space, obtaining the well-known second-order Contracted Schrödinger equation. The next keystone was provided by her paper written in 1991 , in which she proposed a method for approximating higher-order reduced density matrices in terms of the first order one. An extension of the method allowed her and her colleagues to achieve an approximate solution to the second-order Contracted Schrödinger equation three years later, in 1994 . From 1994 to 2013, Professor Valdemoro and her collaborators continued to work in the family of equations obtained by applying the matrix-contracting mapping to the Schrödinger, Liouville, and hipervirial equations, with her latest contribution published in 2013 . Among many other appointments, she mentored four PhD students and was a member of the Board of Directors of the International Society for Theoretical Chemical Physics. We will miss her dearly, as a creative researcher, inspiring teacher, guide, and friend. An overview of her scientific contributions will be posted here. Diego R. Alcoba (Universidad de Buenos Aires, Argentina). C. Valdemoro, in Density Matrices and Density Functionals, R. Erdahl; V. Smith Eds. Reidel: Dordrecht, 1987, Proceedings of the A. J. Coleman Symposium; Kingston, Ontario, 1985, p.275. C. Valdemoro, Phys. Rev. A 45 (1992) 4462. F. Colmenero and C. Valdemoro, Int. J. Quantum Chem. 51 (1994) 369. D. R. Alcoba, C. Valdemoro, L. M. Tel, Comput. Theor. Chem. 1003 (2013) 55.